ChristLife partnered with the Diocese of Pittsburgh to present a Discovering Christ Conference at St. Paul Seminary in Pittsburgh, PA on July 22-23, 2016. 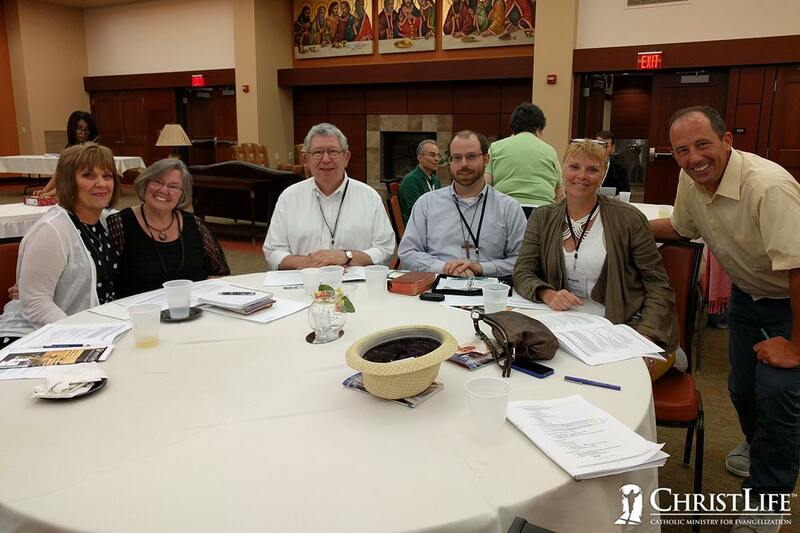 Members of the Diocese of Pittsburgh's Evangelization Pilot Initiative brought their team members and receive comprehensive training on this friendship and hospitality centric evangelization tool for parishes, small groups, home groups, and organizations. The Diocese of Pittsburgh’s Evangelization Pilot Initiative is a comprehensive process that forms lay parish leadership teams in the theological foundations, methods, and strategies of evangelization and discipleship, so that they can build up a culture of missionary discipleship in their parishes. Visit Facebook to see more photos. Dr. Michel Therrien, Director of Evangelization for the Diocese of Pittsburgh, shared with the conference attendees about the process for the Evangelization Initiative and how ChristLife was going to play a key role in fostering evangelization and discipleship in these parishes. One participant shared, "It's exciting to see this program taking root in the Church and in our diocese."